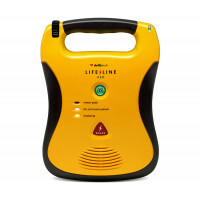 We offer the Defibtech Lifeline View AED Standard Package at First Aid Store™ The Lifeline VIEW is the only AED that leads the user through a rescue with a full-color video interactive display with voice prompts and text. With your own eyes, see what you are supposed to do with step-by-step instructions. Meet the AED that's taking easy-to-use to a whole new level. Other AEDs tell you what to do in an emergency. The Lifeline View is the first and only one that shows you - with video in full-motion color. The award-winning design, durability and easy maintenance - backed by the Defibtech commitment to innovation and excellence - we can guarantee you've never seen an AED like this before. They say a picture is worth a thousand words; now multiply that with the power of video. The Lifeline View has a large, full-color interactive display that gives you step-by-step instructions for performing CPR, rescue breathing and external defibrillation. Saving lives, while rewarding, can be stressful. Even if you are trained, in an emergency situation, will you remember what to do and how to do it? The Lifeline View has videos that show you how to perform a specific part of a rescue. While you are in the middle of the rescue, you may not remember how many compressions to provide and the timing between each one. The Lifeline View has a built-in metronome that counts out the beat so you know what to do and when to do it. Not all rescuers are the same. Some people do compression-only CPR. Others may be trained to do both compression and rescue breathing. Real Time Protocol Selection allows you to switchover from one to both without skipping a beat, giving you the comfort and confidence to deliver emergency care your way. When sudden cardiac arrest strikes, there is no time to lose. You need to be sure that your AED is rescue-ready. Most other AEDs only signal when there's a problem. The Lifeline View's one touch status screen gives you everything you need to know that the unit is up to date and in working order - without turning it on. Compact, portable and lightweight-under three pounds-the Lifeline View represents the newest generation in a family of defibrillators that have won a number of industry awards for design and innovation. The View's ruggedness is measured by a specific set of criteria. It is one tough little unit, coming out on top in some of the most demanding environmental tests. 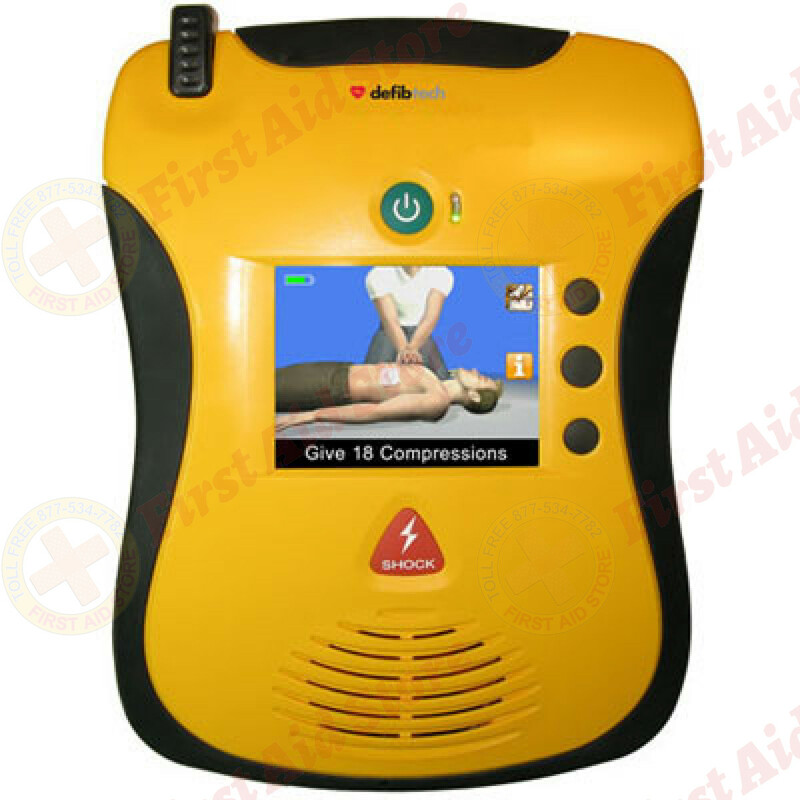 One of the major problems with most AEDS is maintenance. Not with the Lifeline View. The status screen gives you up to the minute information on maintenance if it's required. In addition, built-in video help gives you easy, step-by-step guidance on maintenance that supplements the user manual. Proactive reporting monitors the status of the device and its components. As protocols change over time, your unit can be upgraded in the field through a USB cable or a data card. Data from the unit can be recorded or retrieved from the device using a card or USB cable. The Lifeline View uses biphasic technology, a clinically proven waveform and algorithm to deliver shocks and save lives. This is one of the most widely used impedance compensated waveforms which has extensive clinical experience-and success-in thousands of defibrillators around the world. Evaluation in hundreds of publications has demonstrated this technology to be the safest and most effective when it comes to saving lives. 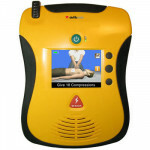 With more than 100-thousand units in the field, Defibtech has drawn accolades for its commitment to save lives by producing the best AEDs medical technology can offer. Defibtech is an industry leader with sound technology and sound finances that constantly drive research and innovation to the next level of excellence. The Defibtech Lifeline View AED Standard Package. 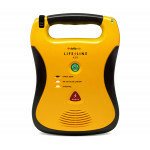 The Defibtech LifeLine AED - 7 year battery ~ Great Price! 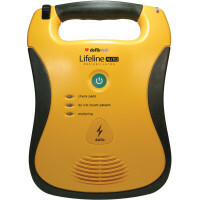 The Defibtech LifeLine AED - 5 year battery ~ Great Price!